I'm very excited to be one of the stops on the blog tour for Dear Teen Me! Even though I'm no longer a teen, I have enjoyed reading the letters from all of these different authors. There were funny stories, moving stories, shocking stories, and through them all there were good messages for teens and adults alike. I'm very excited to have Miranda Kenneally, one of the editors of Dear Teen Me, here today. She was kind enough to answer questions about Dear Teen Me and things about her life as a teen. Please take a few minutes to learn more about this author! 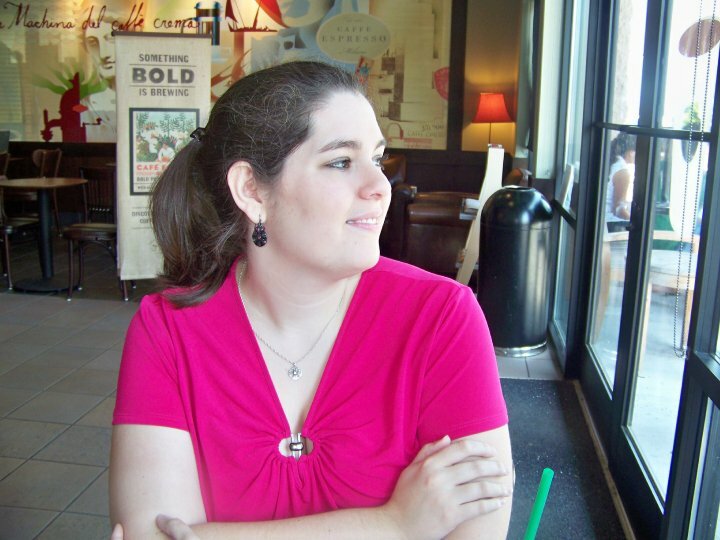 Dear Teen Me started as a blog and evolved into the book it is now. What was this process like? When the co-creator (Emily Kristin Anderson) and I first started reaching out to potential contributors, the feedback was insane. We had over 70 people sign up within days. We had a six-month waiting list for the blog within a month. In the first month, we had hits on the blog from all fifty states and over 150 countries. The concept pretty much drove itself! When Emily met Hallie Warshaw, the owner of Zest Books, Hallie was very enthusiastic about the project. And within a few days, Hallie and my agent, Sara Megibow of Nelson Literary Agency, were on the phone trying to figure out if it could become a book. So, to sum it all up, the idea of Dear Teen Me made the blog to book deal process nearly effortless, but actually putting the book together was INSANELY HARD. What was it like to work as the editor rather than the author? The best part of being an author is that I am in control of my work. With Dear Teen Me, I had to place my trust in other authors to complete their work. Luckily, all of the Dear Teen Me authors were fantastic to work with, and they made it easy. However, the amount of submissions and the paperwork made me pretty stressed out! I had to get up at like 4am every day to work in order to make my deadline on this book. What surprised you the most while working on this project? The picture made it onto the cover of the book! What was the most rewarding thing about working on this project? I get ideas everywhere. Nature, news, and life are full of intriguing things. In fact, it’s hard to go a day and not get some sort of a plot idea. Believe it or not, it was actually working with my husband and my sister. My husband formatted all the pictures and autographs (each author's photo and signature is in the book) before we sent them to the publisher, and my sister helped us keep the paperwork straight. It was nice to have my family's support. I needed it! What advice did your family give you then that you didn’t understand until you were an adult? I can't answer this question. My family didn't give me advice. Gar. Is there anything about your adult self that would shock your teen self? Yes. In high school, I always felt down about myself and I let other people look down on me. Now, I'm very happy and successful, and if there's anything I would tell my teen self, it's Don't Let Other People Decide Who You Are. You Decide That. So what would shock my teen self is hearing from me that I was actually pretty cool. Is there anything you would tell your teen self that isn’t in the letter? Nope. Everything that happened when I was a teen made me who I am today, and I am very happy with how everything turned out. 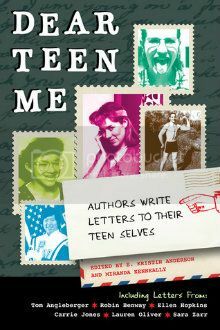 Be sure to add Dear Teen Me to your reading lists - this is one unique book you will not want to miss! To see more stops on the blog tour, with everything from interviews to videos to more Dear Teen Me letters, click here. Thanks, Christin! Hope to run into you again soon!